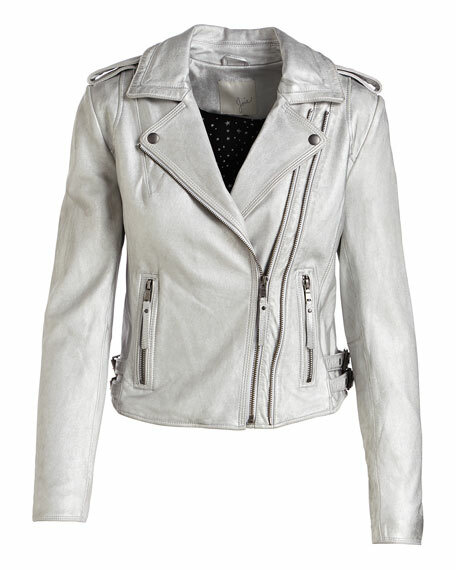 Joie "Leolani" motorcycle jacket in lamb leather with a golden metallic sheen. Notched collar; asymmetric zip front with two zipper tracks. Long sleeves; shoulder epaulets; expandable zip cuffs. For in-store inquiries, use sku #2182787.